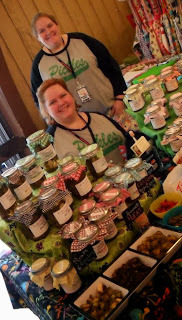 Our Lady of Perpetual Pickles is also a perpetual Holizaarian, having been among the vendors since the very start. Folks just can't seem to get enough of those pickles, jams and other fun surprises! Come see Jessi and enjoy a free sample! 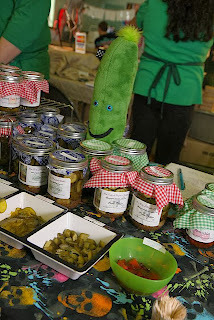 "You should start with my Sweet Heat Pickles. They are really good. I usually have samples at craft fairs, but it's hard to taste a sample online, so you will just have to trust me when I say they are good! I'm really into canning right now. 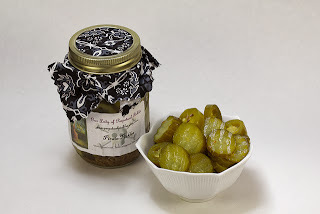 I will pickles and jam available, but there will be more to come. I also make record purses, record bowls, and all kinds of crazy stuff! The best way to see what I do is to come to one of my craft shows."